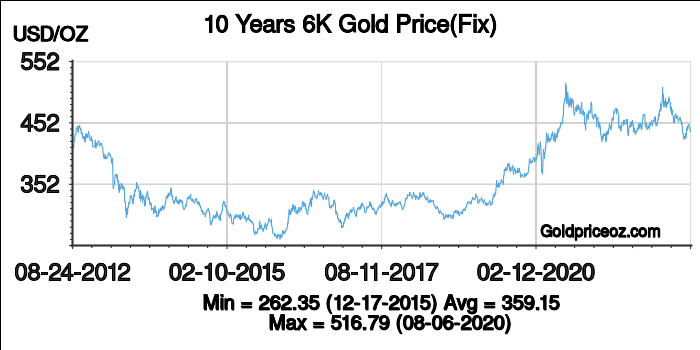 Welcome to the page of current 6K gold price per ounce. 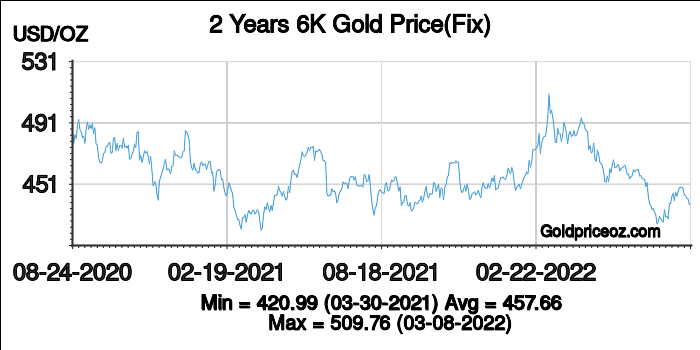 It provides current 6K gold price(including bid price and ask price) and 6K gold price history charts(London gold fixing price). Generally, the commonly used karat gold is 24k, 22k, 18k, 14k, 10k, 6k, etc, whereas 24K gold is thought of pure gold. 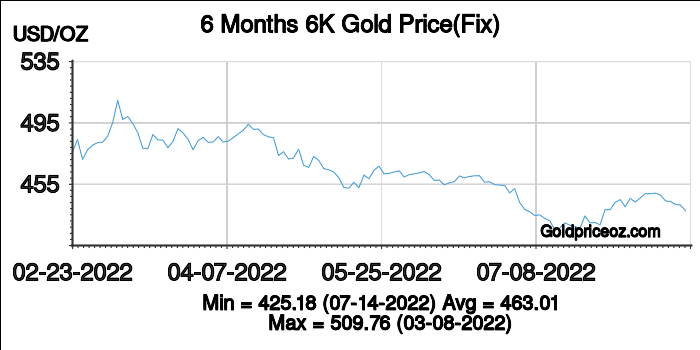 6K gold price per ounce today is being updated once every 1 minutes. Karat is an ancient unit to indicate the purity of gold alloys. 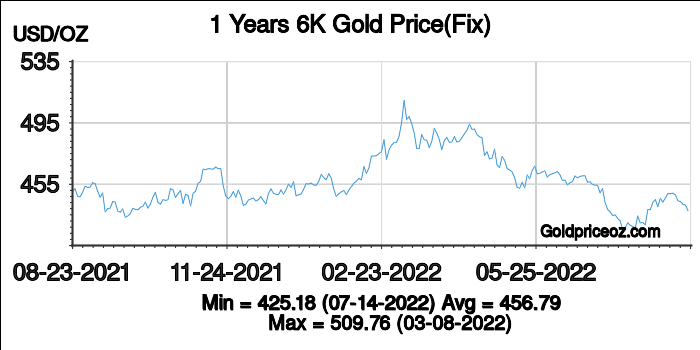 A unit karat contains 4.1667% gold, or equal to 1/24 part. Therefore, the value of Karat gold represents the different proportion of gold. 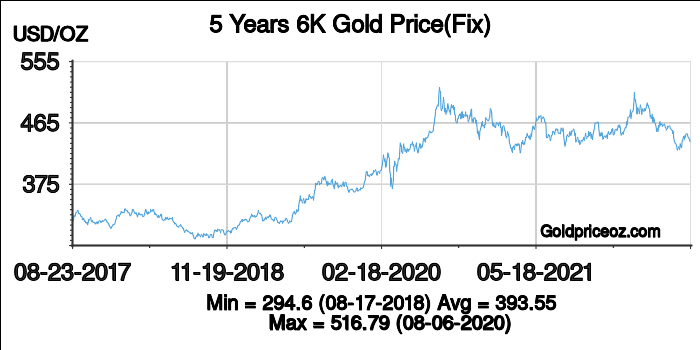 6K gold is referred to as pure gold that means 25% gold mixed 75% other metals.